On Friday I headed up North to visit a couple of our machines on site. It was a reasonably early 4:30am set off time which meant I reached Leeds a little after 9 o'clock. 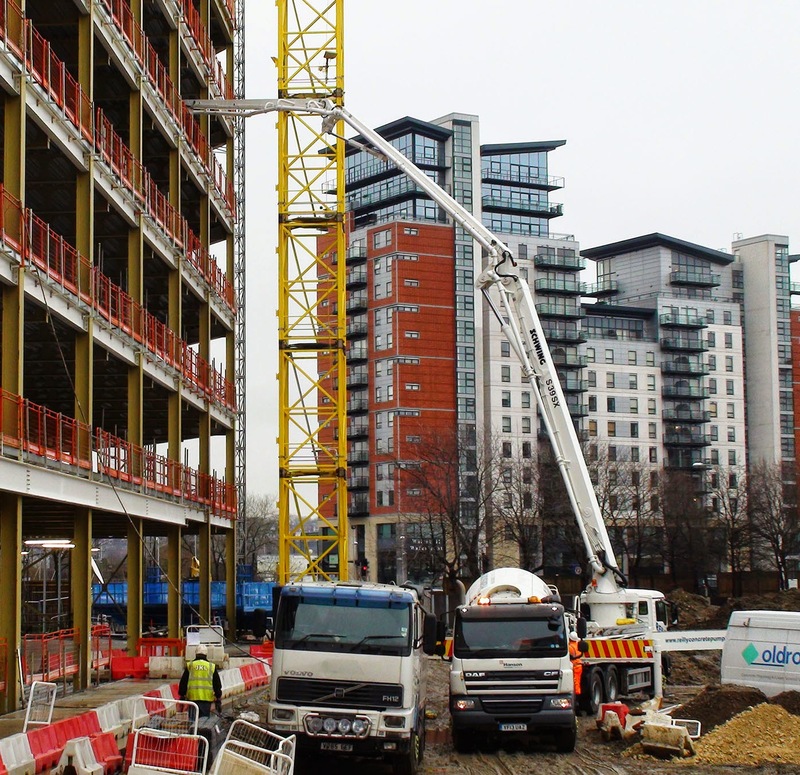 They were using a Schwing S39SX to pour slabs in a new medium rise construction near the city centre (see below). 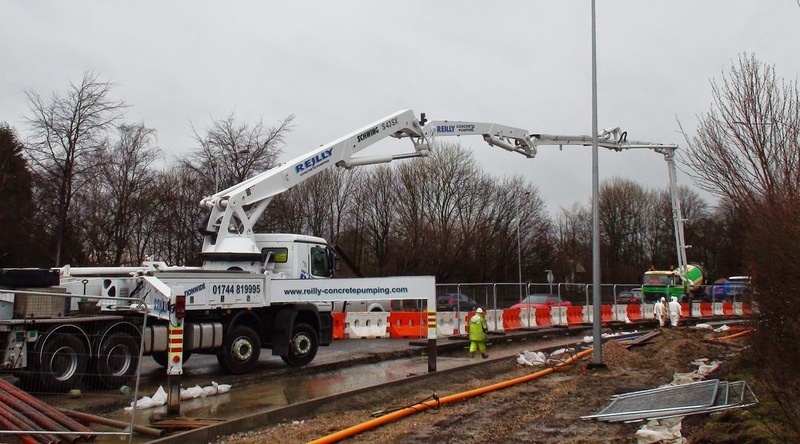 Then it was off to Preston where Lancashire Country Council were using a Schwing S43SX to place concrete under a new section of road which they were widening (see above). There was a light layer of snow blanketing the countryside alongside the M62 on the way to Preston which helped make the area very picturesque. It looked like a lovely part of the country - even if just from the windows a passing vehicle on the motorway. Everyone I spoke to was very happy with their Schwing equipment which is always good to hear when you have travelled that far. Come mid afternoon it was time to head back down to London. I arrived back just after 7pm after a long but pleasant and fruitful day. Copyright Schwing Stetter (UK) Ltd. Simple theme. Powered by Blogger.